For those of you who follow me on Instagram, you know that it’s been a while since my last book review. Although I had picked up several Christian books from my local public library, I had every intention of writing reviews for each book. Unfortunately, I did not feel that the time was right for me to follow through. I didn’t understand my feels at the time, but I knew later that it was because God had other plans. He interrupted and replaced my plan for His. So here’s how my personal journey through Unscripted Love began. I met Farah via social media. I was intrigued by her Instagram handle and I became curious. I said to myself “I really love this name!” I wondered what exactly was the meaning and who is the person behind this awesome name? I wanted to know. So, I commented on one of Farah’s IG pictures to share my admiration for her Instagram handle. She thanked me and we began conversing online. I then discovered the answer to my curiosity. Unscripted Love turned out to be the title of her upcoming novel. I knew then that she was definitely someone to watch. From this point on Farah and I began talking about her book. And now I am proud to present my review! First of all, let me say that I truly love the feeling of nostalgia and this book provided that for me. The pages are well written and have an aura of nostalgia. As I began to read the book, I was intrigued and my emotions began to rage. The first six chapters made me wish that my younger self had the wisdom that I have now. I would have been different and would have handled things differently. I know that we all have made this wish and some of us may have even wished that certain things never happened. Farah has a play on words and ideas that conveys a clear message pertaining to the choices that we make and the consequences that follow. It offers a perspective of how our choices impact our lives and the lives of those in relationships with us. She also gives examples of warnings or “red flags” and conveys clear explanations to the reader about them. As I journeyed through the next few chapters, I found them to be filled with truth and insight. My emotions were raging again, but this time in a different manner. There were times that I laughed, felt sad, and I even became vocal. One passage made me shout aloud, “Lies and Betrayals!” There were also times that I even had to lay the book down to adjust my thoughts. To me this is a sign of a well written book. There were so many good points made that I just could not handle them all at once. Farah made a comment in the book that there would be times while reading the book that you will smile, and yes, you really do chuckle and I surely did! I cannot do this review justice without highlighting Chapter Ten. Farah has a deep love for poetry. The Song of Solomon is actually one of her favorite Old Testament Books because of its intimacy and love that Christ has for His Bride (the Church). Farah shares a few of her personal favorite passages from the Song of Solomon. She also shares some of her intimately written letters of poetry from her heart. Another passage of the book that stood out to me is The Creation Love Story (Gen. 2:21-24). She leaves no stone unturned as she describes the Creator’s idea and methods for sustaining His plan for mankind. Every topic is precise and direct to the point. Farah applies the appropriate Scriptures that follows the particular point that she’s making. She does this to verify that God made the statement first and the facts of the matter stands firm. I have not come across any other books that explains the true meaning of relationships in the light that Farah shines. I’d like to share a couple of facts pertaining to the relationships between men and women. First, we need to guard our hearts because the heart determines the course of your life. Also, generally women are more vocal than men and that women need not share every thought. She then gives the example of how we can take note of Mary the mother of Jesus during her immaculate conception. Farah states, “Mary did not go running to tell everyone that she was pregnant with the Savior of the world. She kept it a secret. She kept it in her heart (Luke 2:19). My thanks to Farah for allowing me to review her masterpiece Unscripted Love. The book is a true reflection of its name. Please add Unscripted Love to your must read list of books. Farah Andrea Smith is a well rounded Christian Woman, Mother, Author, Songwriter, and Poet. Farah is a graduate of John Jay College of Criminal Justice, with a BS in Legal Studies with a minor in Psychology and English. She is a mother of two children. 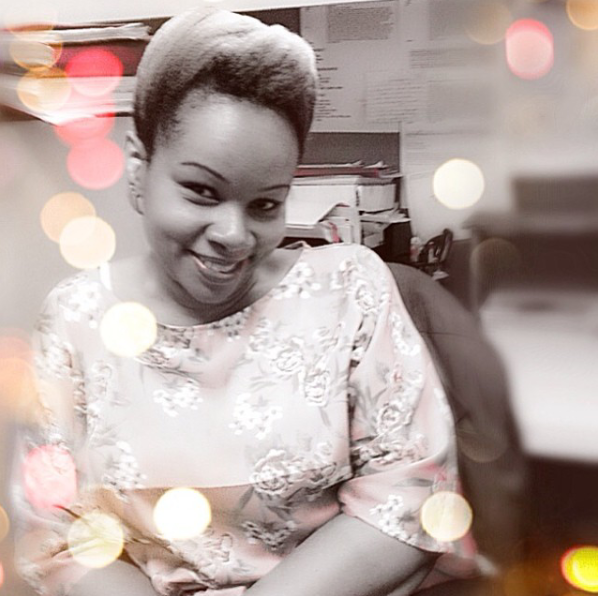 Farah is an active member in her church, and she is the team leader of the dance ministry. She dances for the glory and honor to God. Farah definitely believes in keeping God first in her life. Don’t Delay, He’s on His Way! Looking forward to reading your book Farah. I have to buy it still :-). God bless you my sister! I am truly humbled and awed by your review Evangelist Jeanie! 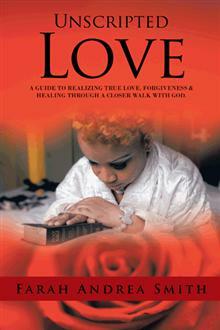 When I wrote Unscripted Love, my prayer was that the book would touch the heart of even one person who reads it. God wanted to share some things through me to His people. I did ask Him, “why me?” I felt unworthy, and broken. He shared with me that’s who He uses! God is close to the broken hearted and those who have a contrite spirit. If you’re puffed up, God cannot use you because your own self-righteousness and opinions will get in the way. Thank you for sharing your journey through Unscripted Love. Your review really touched my heart. Hi Farah. I am truly humbled and I thank God for planting this seed in my heart. As I stated, Unscripted Love was placed in my heart from the moment that I read the title. I will always cherish my autographed copy. I thank you for allowing me to be a part of Unscripted Love. I also thank my daughter Cherese for assisting me with the editing portion of the review. Otherwise I would have almost re-written more than half of the book in my review. It was just that good! Thank You! Wonderful review, i look foward to winning the giveaway. Don’t know how to tag in instagram so hope I can still enter the giveaway.